The Philadelphia 76ers continue to strengthen their core for a possible Finals push. They added another All-Star Caliber player to their roster by acquiring Tobias Harris from the LA Clippers. The Athletic’s Shams Charania first broke the news of the deal involving Harris and the Sixers. ESPN’s Adrian Wojnarowski immediately followed with full details on the deal. The Sixers sent a package of players which included rookie Landry Shamet, starter Wilson Chandler and Mike Muscala as well as two first round picks. They received Tobias Harris, Boban Marjanovich and Mike Scott in return. This was a clear move to keep in step with the top teams in the East. After their move to acquire Jimmy Butler earlier in the season, they add another versatile wing to their roster. Harris was having his best season so far, leading the Clippers in their fight for a Playoff spot. He’s currently averaging 20.9 points and 7.9 rebounds this season. The Sixers now have a top four made up of two All-Stars in Joel Embiid and Ben Simmons. They’re backed up by borderline All-Stars in Harris and Butler. Just like Butler, Harris’ contract is expiring this season. He was set to make max money in the offseason. But with the Clippers looking to sign big name free agents, Harris just didn’t fit into the future of the Clippers. 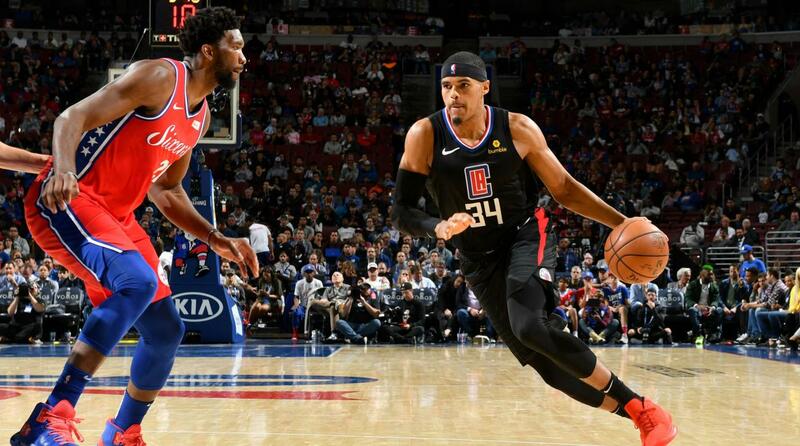 Tobias Harris could be moving toward a maximum-level contract in free agency this summer, something that would've been difficult for Clippers to do with their own free agency aspirations. With the Sixers, he will get to make his name in the Playoffs and play off their two All-Stars. His numbers may suffer but he will be able to make an impact in the league’s biggest stage. The Sixers are looking to keep this core together in the long term as they’re making financial moves to re-sign both Harris and Butler in the offseason. The most important part of the package for the Clippers were the two first round picks they. LA added two key picks, a 2020 first which would most likely fall into the first round and an unprotected 2021 first which could end up in the lottery. This move makes the Clippers a player in trading for big name players that will be available in the trading market. They’ve put themselves in the position to make a deal for Anthony Davis given their collection of young players and first round picks. If they do pass up on Davis, they freed up slots for two max-level free agents this summer.